Noblia is a free, eye-catching WordPress blogging theme suitable for content-centric website of all types, especially those running fashion, lifestyle, photography, or travelling sites. Its image rich platform makes displaying beautiful photography easy to do, without sacrificing the written content you want site visitors to engage with. Noblia is an elegant, yet airy looking blogging theme with enough flexibility to turn your website into a stunning array of bold imagery and killer content. Filled with exceptional functionality, and the ability to customize every element, any level blogger will be able to create a standout website within minutes of installation. This awesome WordPress theme works with specialty plugins and widgets to ensure your users have the best experience, your website is as visually appealing as possible, and the functionality of your site exceeds the expectations people often have when it comes to using a free WordPress theme. Orange Themes Custom Widgets. 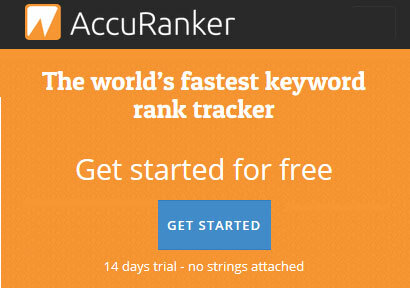 This plugin is a bundle of widgets that add functionality to your website. 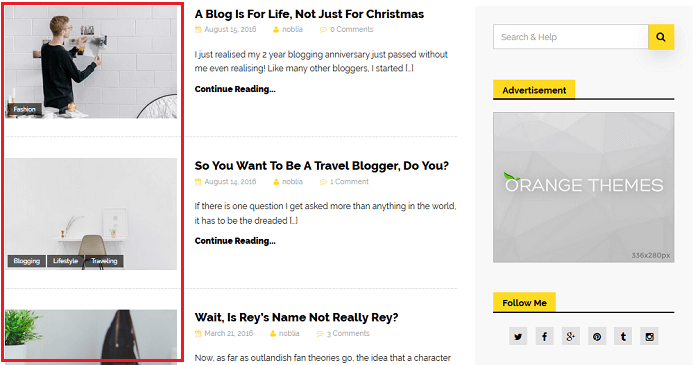 For example, enjoy the Latest News, Social Links, About Blog Author, Feature, and Team widgets. Mashable Share Button. Display professional looking social media share buttons for social media networks like Facebook and Twitter. In addition, enjoy share counts, shortcodes, high-resolution social media icons, and the customization of social share buttons. In addition, Noblia offers bloggers the option to use the WP Instagram Widget in the footer section of their website. Showcasing your latest Instagram posts with very little setup and configuration, site visitors will see more of your stunning photos thanks to the widget that gives your website a more exciting and interactive feel. In the end, no matter what you are blogging about, Noblia will highlight your best content for site visitors and get them excited to explore everything you have to offer. 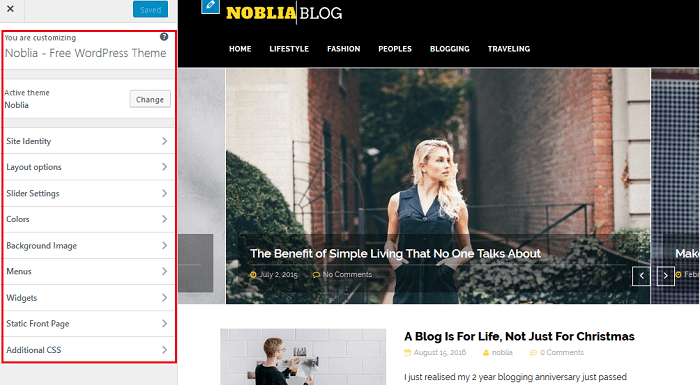 Noblia is the type of WordPress theme any blogger, in any industry, can take advantage of. Whether you need to brand a business, simply share your thoughts with a small following, or build your blog into a full-blown eCommerce shop, Noblia has the design and functionality to help you achieve you end goal. For instance, Noblia is easily customized using the native WordPress Live Theme Customizer. Site Identity. Branding your business has never been easier. 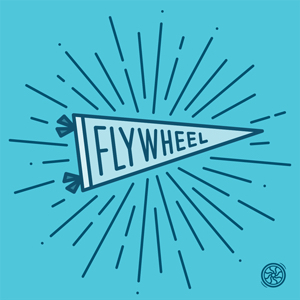 Upload a site title and tagline for instant recognition, include a customized logo image, and even assign a site icon. Lastly, draft out your copyright text. Layout Options. Since Noblia comes fully widgetized, decide whether to enable the right or left sidebars. If not, simply disable the sidebar feature altogether. Using the intuitive color picker, you can assign both an accent and background color to your website for further branding and personalization. Static Front Page. If you want site visitors to see static content, enable the static front page feature. Or, if you want them to always see your latest blog posts, choose to display them at all times. Next, let’s dig a little deeper and see what Noblia’s best features are. Noblila is dedicated to giving bloggers an exceptional way to display their best images. With the homepage slider feature, you can choose one of your website’s categories and display the featured posts from that category alone. This is great for those that want to highlight specific content at specific times. You also have the option to include a mix of categories in the slider if your target audience in interested in a little bit of everything. Noblia centers around your photos and content. So, it makes sense that it caters to blog post images in a few different ways. To start, each blog post comes complete with a thumbnail image, post snippet, date, and tag so readers know exactly what they are getting into from the start. 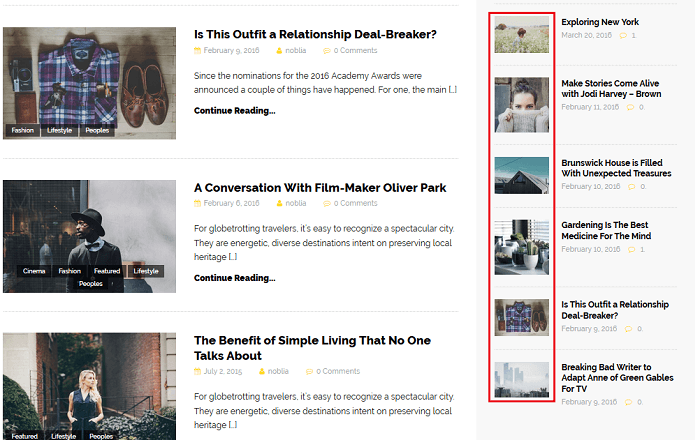 Additionally, should you decide to use the Latest Posts widget, you can display a thumbnail image beside each post as well, again adding to the overall visual appeal of your blogging site. Noblia allows website owners the option to customize the footer of their site in many ways. For example, take advantage of 3 footer widget areas, or utilize the full length widget section. As you can see below, the search bar, Recent Comments, and Tags widgets display their respective information for your site visitors see before leaving your site. In addition, notice the Instagram feed that displays across the entire length of the footer. Using the WP Instagram Widget, this beautiful presentation of your best imagery is easy to achieve. 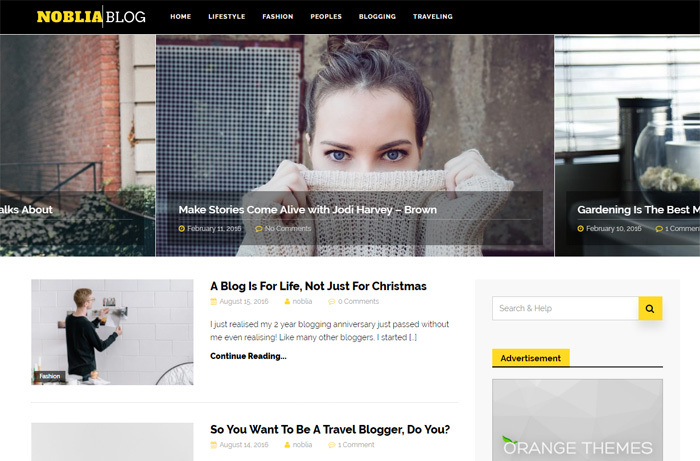 Altogether, Noblia is a clean blogging theme, free of charge, that is designed to display your best content and imagery to site visitors. With its impressive compatibility with other WordPress plugins for extending its functionality and design, this theme has everyone in the fashion, lifestyle, blogging, or travelling industries set up for success from the very beginning.